International Living is looking for a managing editor for its daily e-letter. As part of The Agora network of companies, International Living has been the forefront of exploring opportunities to live, travel, and invest overseas since the 1980s. We serve North American readers and we present them with one simple idea: in the right places overseas, you can live better, for less. The world is full of opportunities…for fun…pleasure…financial security and profits…romantic discoveries…and adventure. Our mission is to bring those opportunities to our readers. We need a hard-working, enthusiastic, and organised individual who is committed to producing a top-quality, daily e-letter, with a readership of over 500,000. Not all editors make good writers and not all writers are good editors. You must be both—an excellent editor and good writer, someone who loves the written word. As managing editor of the daily e-letter, you’ll commission, edit, write, research, proofread, and copyedit. You’ll manage a busy schedule based around a wide variety of topics. The role requires a high level of creativity and an openness to new ideas. You’ll have the opportunity to travel to the countries we cover, the chance to write about them, and you’ll enjoy an excellent salary and package of benefits. If you are adaptable, flexible, highly organised, and love producing quality online content this position could be yours.  This position is based full-time in our headquarters of Woodlock House, a period mansion close to Waterford City. There you’ll join a dynamic team dedicated to staying at the cutting edge of publishing. Proven ability to copy-edit and proofread content with a critical eye and meticulous attention to detail. Strong writing skills, knowledge of correct grammar, punctuation, spelling, and the ability to communicate ideas creatively and concisely. Demonstrable experience managing workflows, scheduling, and deadlines. A friendly and outgoing personality: The successful candidate must be able to relate to our large and growing team of writers around the world. A curiosity about the world and all the opportunities for fun, travel, and adventure it offers. Proven ability of managing and educating writers. Experience of travel outside of Europe a strong plus. Essential: Please submit your CV along with a cover letter and two samples of your work. Closing date: Monday, April 29th, 2019.